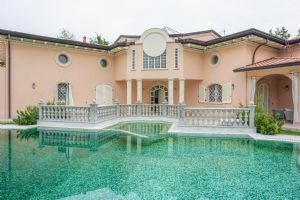 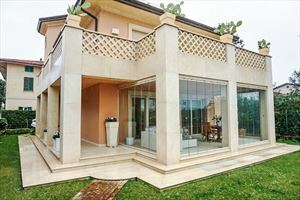 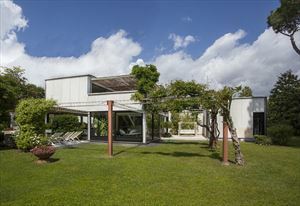 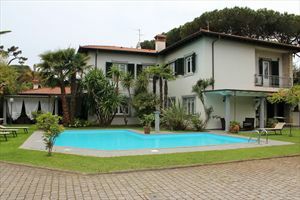 A detached villa with a pool and a garden (about 2000 m2) located in a tranquil zone not far from the center of Forte dei Marmi, about 1000 meters from the sea. 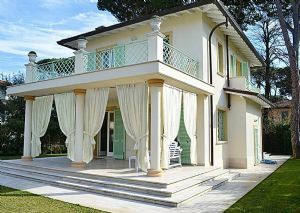 The ground floor consists of a spacious portico with outdoor furniture, living room, dining room, kitchen, guest bathroom. 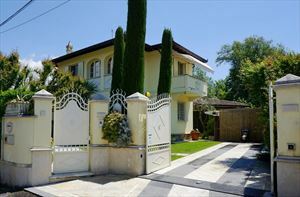 On the upper floor are 5 bedrooms with bathrooms. 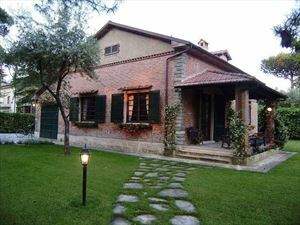 The basement comprises a spacious living room, 2 bedrooms with private bathrooms, kitchen and a laundry. 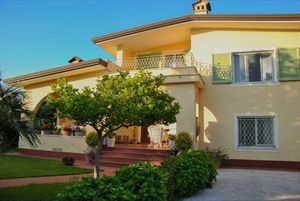 The villa is equipped with alarm system, air conditioning, satellite TV, Wi-Fi.